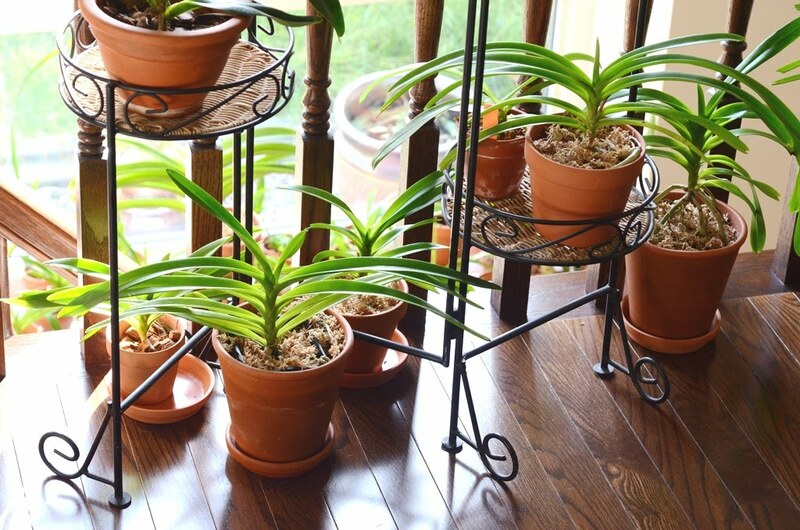 Big Leaf Orchid forum • View topic - one of my "growing areas"
one of my "growing areas"
Post subject: one of my "growing areas"
Post subject: Re: one of my "growing areas"
WOW...neat,tidy and classy! I wish mine was any of those . "WOW...neat,tidy and classy! I wish mine was any of those"
That looks great! I'm curious how well your phalaenopsis bloom for you so far from the window? I'm a novice so this opens up my display options if the plants don't have to be pressed to the window! 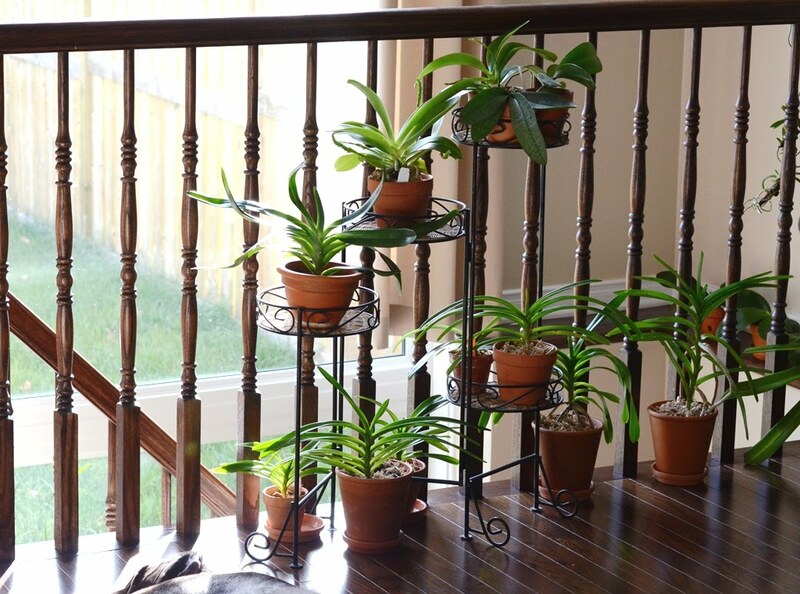 Well, since I don't have dedicated grow room or greenhouse, my orchids have to "blend in" to house interior. Kaity, the window is very tall, it goes from the ceiling on main floor down to the basement, has south-east exposure and I don't use sheers, so all these plants receive a lot of direct morning sunlight and don't have problem blooming: cornu-cervi red just finished the batch of blooms and Phal.Tsay's Evergreen x cornu-cervi beside it currently grows two spikes too(can't wait to see the blooms). 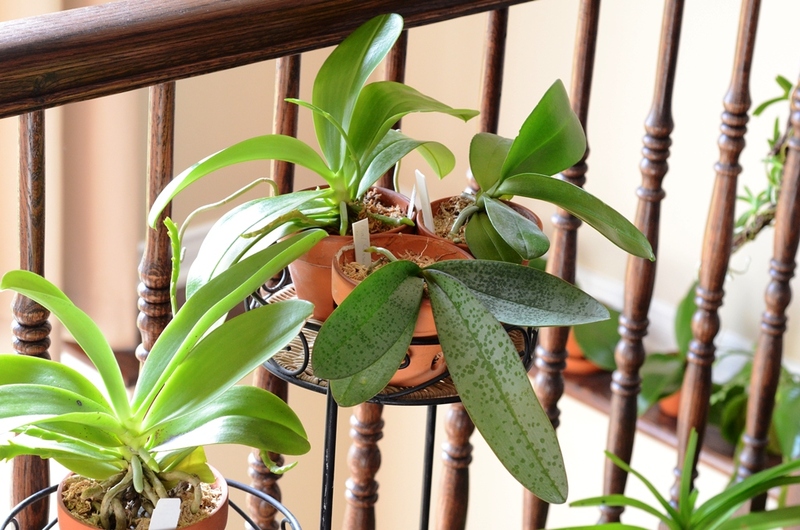 My problem with phals is in low-ish humidity. Cattleyas and vandas are fine, but phals sometimes blast the buds when it gets dry here. To help with it I have ordered an orchidarium for my phals, and will post pictures when it arrives.